The new MK50-135mm, released this time, is a telephoto zoom lens covering the focal length from 50mm to 135mm. It has the maximum T-stop value of 2.9* across the entire zoom range, enabling a shallow depth-of-field as well as a beautiful bokeh effect. The lens is compatible with E-mount** cameras with the Super 35mm*** / APS-C sensor. It incorporates the benefits of short flange focal distance*4 into optical design to the maximum extent to achieve advanced optical performance and its compact and lightweight design. The use of lens design optimized for shooting movies minimizes focal shift and optical axis shift while zooming, and lens breathing (change of angle of view during focusing) that are typically observed in interchangeable lenses for digital cameras. The lens also features three rings to enable manual and independent adjustment of focus, zoom and iris (aperture), all with the gear pitch*5 of 0.8M (module). The focus ring can rotate fully up to 200 degrees to facilitate precise focusing. These features make the lenses comfortable to operate.The MK50-135mm can be combined with the MK18-55mm to form a kit that covers the most frequently-used focal length between 18mm and 135mm, accommodating a variety of subject matters including landscape, The MK50-135mm can be combined with the MK18-55mm to form a kit that covers the most frequently-used focal length between 18mm and 135mm, accommodating a variety of subject matters including landscape, architecture and portraiture. They share the common front element diameter, filter thread and three-ring gear positions, allowing users to share the use of the same accessories such as matte box and filters. This eliminates the need to re-adjust accessory positions when changing between these lenses, streamlining operations in frontline video production. The X Mount versions of MK lenses (with the focal lengths of 18-55mm and 50-135mm) for Fujifilm’s X Series of digital cameras (APS-C sensor) are currently under development, and due to be released by the end of this year. *T-stop value is an index that indicates brightness of a lens based on its F-stop value and transmission rate. The smaller the value, the greater amount of light the lens transmits. ***Super 35mm is a standard format for motion film cameras using 35mm film stock, and refers to a sensor size used in many cinema cameras. *6Distortion refers to a phenomenon in which an image formed through a lens becomes partially contracted or extended at the edges. The MK50-135mm features the Flange Focal Distance adjustment function*9 to achieve optimum camera and lens matching, thereby bringing out the lens’s full optical performance. *9The position of lens’s image-forming plane can be adjusted according to each camera’s flange focal distance (distance from lens mounting reference plane to sensor). 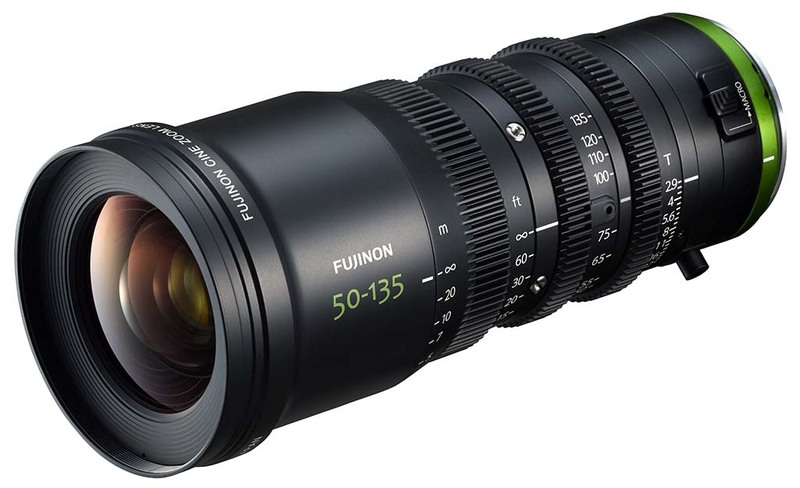 This entry was posted in Fuji lenses and tagged Fuji Rumors, Fujifilm, Fujifilm Rumors, FujifilmRumors, Fujinon MK, Fujinon MK50-135mm T2.9, Fujirumors. Bookmark the permalink. Trackbacks are closed, but you can post a comment.